Nowadays, information that is stored on our electronic gadgets, deleted or not, is very important. There is a new method that can protect your privacy and ensure your safety when an electronic gadget is lost or stolen. Gregory Whiting from PARC, a Xerox company, has invented a computer chip that can self-destruct remotely. Silicon computer wafers are attached to the tempered glass that will self-destruct when heated. 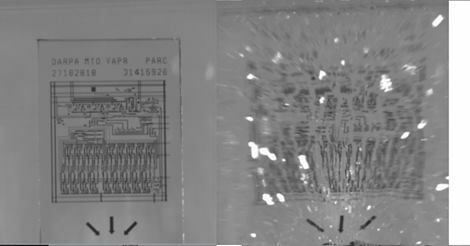 The chip is heated using a little heating element that can fracture the glass thus destroying the chip. The heating of the computer chip can be triggered remotely by using a remote or via a wireless signal or a radio frequency signal. The data still remains intact with the chip even after being subjected to self-destruction, so the data isn’t lost it’s just destroyed in to many little pieces, which can be measured in micrometers. Reconstructing the data of the chip is possible but it would need all the tiny particles altogether. Want to know more about this awesome device? Follow this Link!